The TCM Telephone Ring Interface Module is a small plug-in device designed to sense a telephone ring to trigger the transmission of digital commands onto the existing powerlines. This is a clearance item with 30 day warranty from Aartech. PCS may or may not provide a longer warranty directly. Final sale. 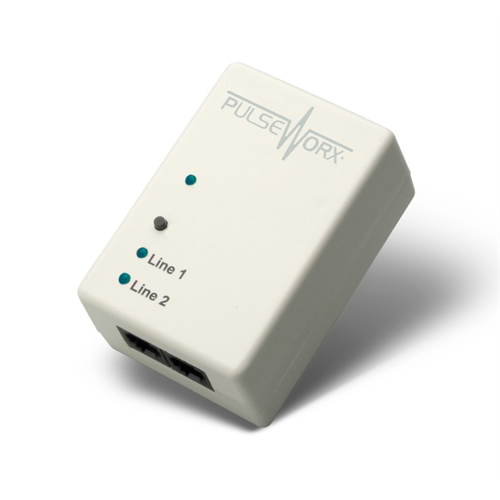 The TCM can be programmed to send any UPB link command to turn on or off (or blink) any light or group of lights upon the ringing of a telephone. The TCM plugs into any standard AC power receptacle. The TCM includes two standard phone jacks for connecting as many as two different phone lines. The TCM can be freely located anywhere a wall power outlet exists throughout the home.